As I have usually written in this blog, I do not trade with futures, but I follow them daily because they are the basis of all my analysis. This time I will review the protagonist of the last two months, the Crude Oil /CL, which can be traded through the popular etf USO, or at triple speed through UCO, for riskiest traders. The fall of oil in October and November has been the deepest that has suffered since the remembered pullback of 2014. Of its annual maximum, at the beginning of October, of almost $ 77, today oscillates in levels of $ 50, that is to say, a descent of almost 35%, something very uncommon. It's because we are living a new era in the leadership of the crude. Today the price is decided by a trio of unpredictable governors like Trump, Putin, and Bin Salman. The oil production of their countries, together, represent almost 40% of the world supply, surpassing the once powerful OPEC, and making its decisions almost unnoticed. 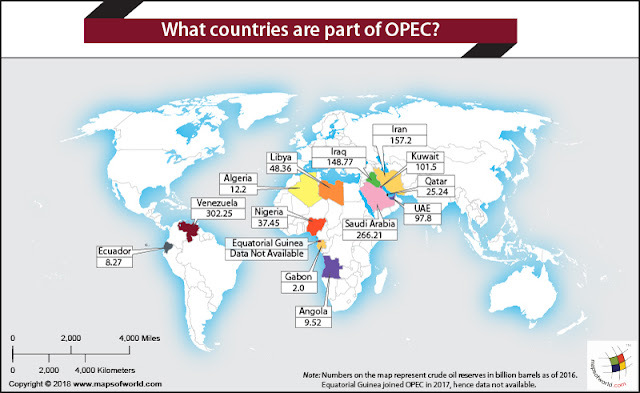 Even less is the weight of non-OPEC, all already practically aligned with Russia and Arabia, the true leaders of OPEC. - Bin Salman wants a high price in crude oil, at the expense of reducing its production, to boost its agenda to modernize its country. He still supports the North American pressure in the opposite direction. - Trump wants a low price, so as not to boost inflation or the dollar in his country, as we discussed earlier in this blog, handling the situation both in the external and internal front. Pressing Iran, its natural enemy, with sanctions and exemptions to its consuming countries, and on the other hand directly pressing Arabia, its ally, to increase its production. Trump' support for Riad in the Khashoggi theme is not casual. And in the internal scope, Trump relies on the boom and high production of shale gas, despite its controversial extraction by fracking, to keep in line the traditional private oil companies. - Putin and Russia, as always, put themselves in expectation of what is happening to accommodate themselves. As a producer country he wants for Russia high prices, and as a popular governor in your country, low prices. It maintains its strong alliance with the Arabs since 2017 by defining the production quotas for its own interests and also with the idea of annoying the USA. This is presented only for information purposes: the map of OPEC member countries, increasingly less relevant in the decisions of the price of crude oil. Little to add here. In the face of tremendous collapse, today all indicators, without exception, mark bearish signals and extreme oversold, so what is indicated is to try to deduce when this trend could end, and risk a "buy the dip" trade for profits. For this, my favorite indicators are the supports/resistances and the popular Fibonacci Retracements. His two-year Fibonacci chart shows the price struggling with the 50% retracement level, which almost matches the psychological and key support of $50. So, we are in crucial days for next move of /CL price. If after the G20 the crude oil price does not overcome the support of $ 50 and the Fibonacci 50%, their following support would be 61.8% of the Fibonacci and one unclear in $ 43, already quite dangerous levels. In the short term, there may be a rebound at the $50 level mentioned. It would be the most sense because the pullback already deserves it. It will be able to oscillate some days around that level: the strength and momentum of the rebound will depend exclusively on what can be decided at the end of this month in Buenos Aires when the Trump-Putin-Bin Salman trio meet for the G20 forum.